QWS Express Trailers. 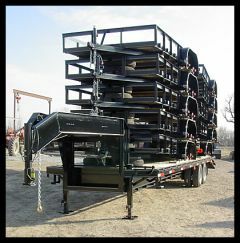 Online Catalogue of Custom Trailers Delivered Nationwide! QWS Express Trailers features competitive pricing on top quality, custom trailers delivered to your door. We deliver trailers within Texas, Oklahoma, Arkansas, and Missouri on a weekly basis, and schedule deliveries nationwide, coast to coast, on an as needed basis. For more information about our delivery fees and transit schedules, contact us today by e-mail or phone! Wholesale / Dealer Inquiries are Welcome!